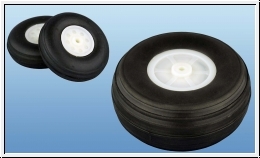 The wheels made of light foam possess sturdy wheels made of nylon and rigid treads with grooves. Even with longer standstill periods under load, the wheels retain their concentricity. This Product was added to our catalogue on Tuesday, 01. September 2015.